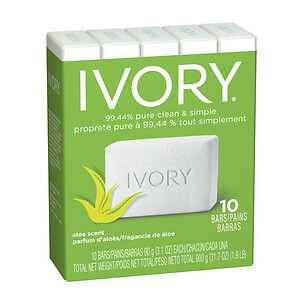 There are a lot of reviews of the Ivory soap – but what do the experts say about this soap, and is it worth using for keeping things clean? First thing to say about the soap – it floats! This does not actually prove anything in terms of pureness – what does the company even mean when they say “it floats its pure”? It sounds like a marketing gimmick to get the sales – to give the idea of natural, when they cannot legally say natural, so they say it floats – these are just the first thoughts I get into my head about it. The ingredients of the soap contain glycerin, which is a layer of fat like substance, and won’t actually help clean the skin, so no, it is not pure. The soap has been used by many people and they like it – as you can see the reviews on amazon of people who like it – but this does not mean the soap is natural, and that it is actually good for the skin – just like there are many creams out there that are sold as anti-aging creams, very expensive, but all they do is cover the face with a layer of fat, temporarily making the skin look clean, but in reality, this does not give anyone anti-aging benefits. Soaps talking about 99% cleaning bacteria actually are more harmful than you can imagine – as the 1% that does survive, becomes immune to the soap, and produce and multiply into more resilient bacteria – so no, this is not a good way to manage cleanliness either. The ivory soap actually is just a normal soap – and some people have said it is a little drying – but the drying part is actually okay, and means you just have to apply it for less of a duration and less of it.